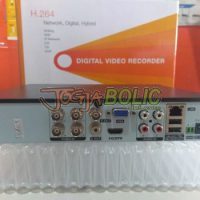 4CH Hybrid DVR. NVR Mode 16CH. Video Out VGA & HDMI. Audio In 4 port. HDD SATA 1*6TB. 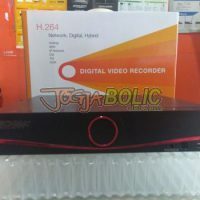 Hybrid 16CH DVR. NVR Mode 4CH, HVR Mode 8CH. Support Mobile Cloud. Techma XVI-9604 Hybrid DVR 6-in-1 Standalone 4 Channel. 6-in-1 XVR : Analog, AHD, IP Network, CVI, TVI, iXVR.